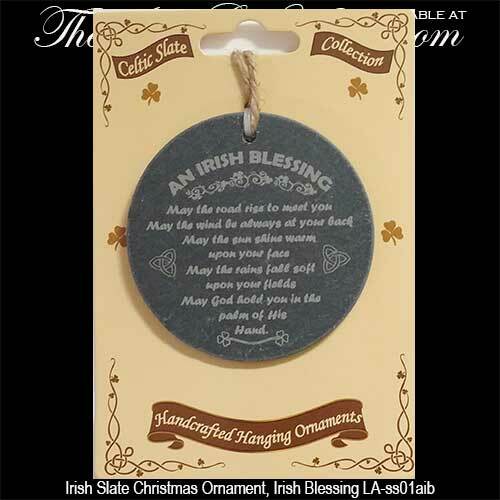 Christmas ornament features an Irish blessing etched on a slate disk. This Irish Christmas ornament features a laser etched blessing that is enhanced with Trinity knots and shamrocks. 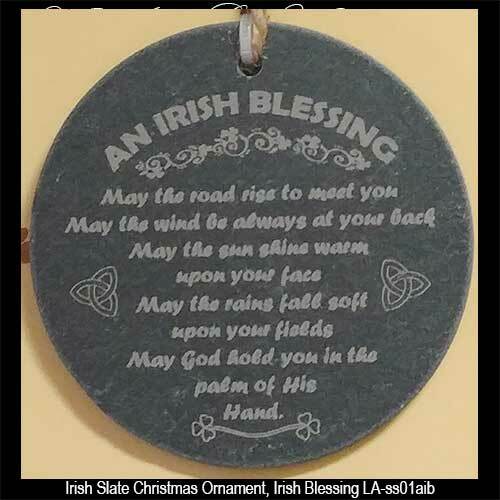 The Irish blessing ornament is crafted upon a 3" diameter disk of slate that is ready to hang on your tree with the included brown twine.